Hrithik Roshan is now superstar – wasn’t he one before? Well, Hrithik Roshan plays topnotch star in upcomiong Farhan Akhtar (that rock ON guy!) starer movie ‘Luck By Chance’. Its like a special appearance with Isha Sherwani giving super company to complete superstar couple in the movie. 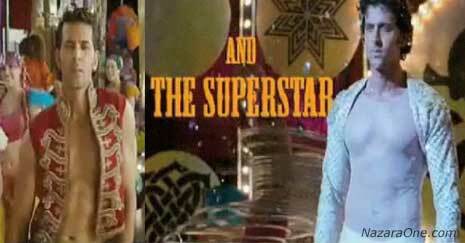 Hrithik is seen in glitzy and glamy costumes in the movie teaser. So, who got lucky – Hrithik? Naaa, its maker of movie (Farhan Akhtar & company), atleast with Hrithik in promotional stuff more people will be interested in knowing their Luck by Chance!